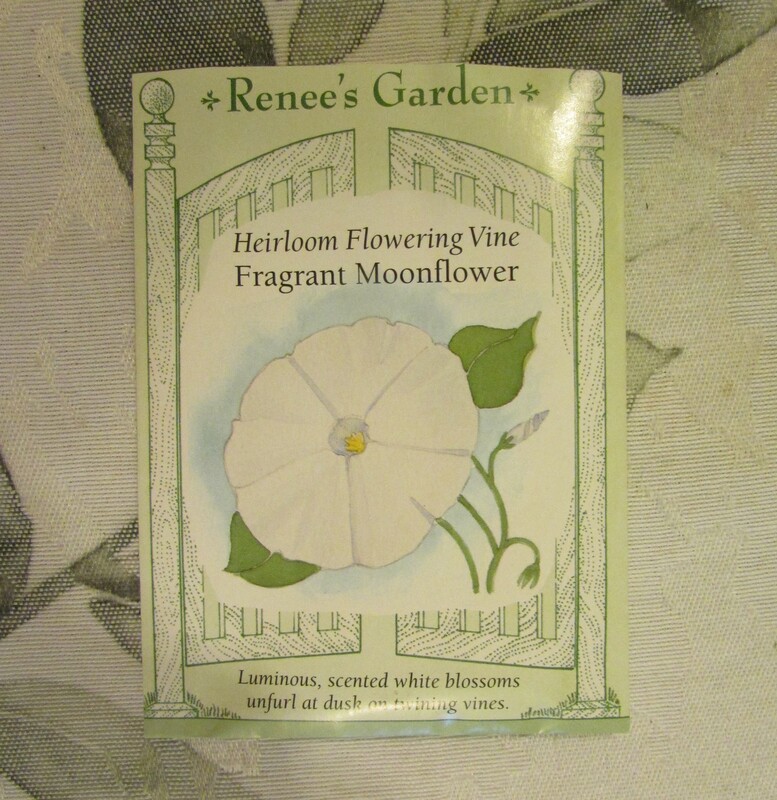 Last summer, I published a post on my Moonflower Vines. These night-blooming flowers glow in the soft light of the moon, all the while exuding a captivating fragrance. 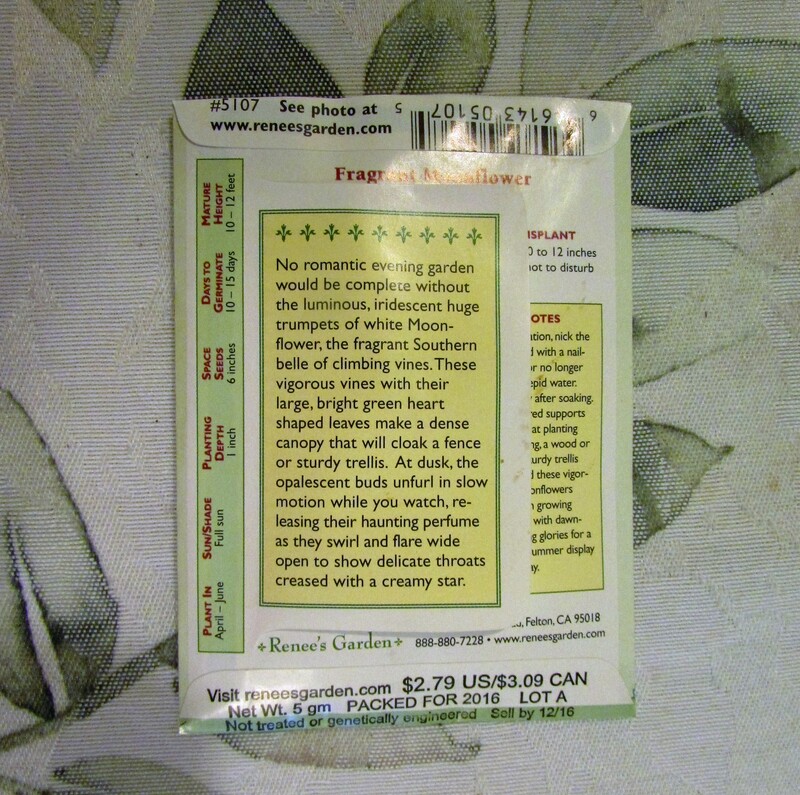 I buy Moonflower seeds off the racks of big-box stores, but I deviated from my norm this year and bought a packet at Longwood Gardens. Renee’s Garden is a trusted brand of seeds. Oh the JOY of gardening from seed! I started these Moonflower vines much earlier than recommended. This is due to my experience with them; they are very slow-growing for a few weeks. I’m hoping to enjoy my Moonflowers blossoms by late May. Happy Gardening! How to Grow A Moonflower Vine Indoors. How lovely! I have black fingers but might try to grow these in south east Texas. It is 80 degrees now. They will probably do great for you in a warmer climate…I think they originate from a tropical location. We are sub tropical so most tropical plants will grow during the summer at least. I hope you have a chance to try them…they are beautiful and the fragrance is perfect. What a striking and beautidul flower! Will it grow in a cool climate? I am not sure how they will do in very cool areas. 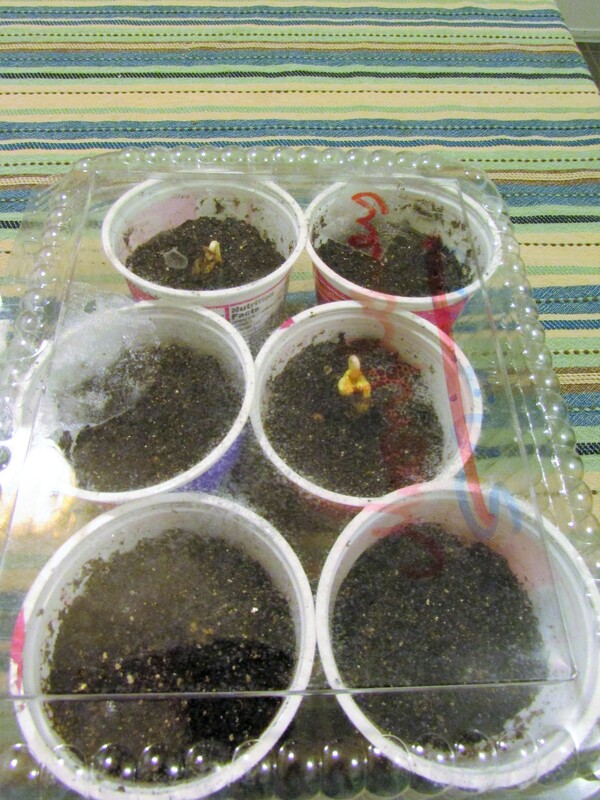 I am starting mine early because they grow slow here until the temperatures get warmer. I am hoping the earlier start will bring about earlier flowers. If I have good success with the sprouting I might grow one or two vines around a sunny window and see how that works for me. I have grown morning glories indoors, and they will bloom, although the flowers are much smaller than the ones grown outside. I will post photos when they bloom. The photo in the post was from last year’s gardens. I’m hoping for even more this year. 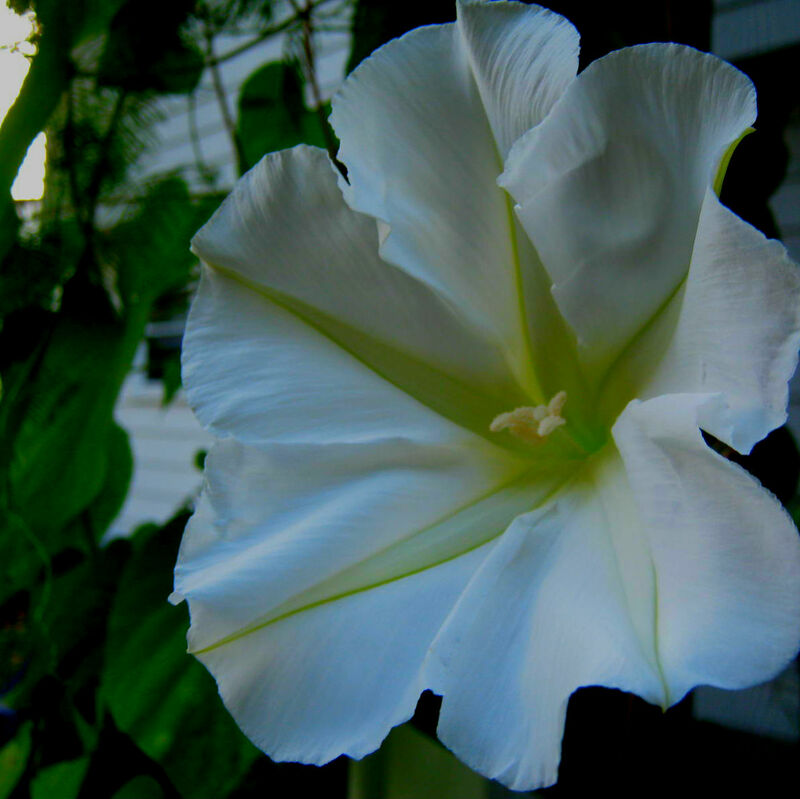 Kathy, each year do you need to buy new seeds for the Moonflower – would you not get them from last year’s plants ? Forgive my ignorance. How are things with you, Kathy? My husband is going for a surgery today and will be in hospital until sunday if all goes well. Susie, I do save seeds, but the reason I buy and sow so many is my success rate with this plant from seed is not as successful as I would hope. This year I am hoping for many more plants so I am doubling my efforts. (and quantity of seeds I sow) I have dreams of sitting on my back porch at twilight in a fragrant cloud of moonflowers. I am also sowing sweet peas. They bloom very early, but then when the heat strikes the vines die. When they sweet peas are finished, I am hoping to have moonflowers ready to bloom. Oh Kathy, you are so sweet. As you are Susie…God bless you and your family. I will be praying Susie. I like your bloom! And just curious 🌸- what is the difference between big box store and long wood gardens seeds? Probably not much! 😀 But it is the design of the seed packet that thrills me, and they have already rewarded me. Three sprouts now on my windowsill, and another showing beneath broken soil. I’m thrilled!